Always Sunny wrote: The OK Mountain fire was 25,000ha versus 19,000ha for Stickpin (as per the most current info I could find). And the Okanogan Complex fires, near Omak, have burned 227,000 acres (92,000 ha) so far. I run and ride my bike regularly but after a quick 1 km walk my eyes are stinging, my nose is plugged and I literally feel the smoke in my lungs. Stay indoors if you can. Atomoa wrote: Just went outside. Yeah, wanted to try my new trek bike around kaleden, made to the beach before I had to turn around. Not fun, I can't imagine how bad it must be down in Washington. Troy wrote: And the Okanogan Complex fires, near Omak, have burned 227,000 acres (92,000 ha) so far. Thanks! The info I saw for Stickpin seemed pretty limited. Stickpin Fire - Stickpin Fire is at 47,544 acres and is burning on the Kettle Crest between Curlew and Orient. The fire is 15% contained. Firelines constructed along the western edge are holding. Crews continue to strengthen the lines. The fire was also active on the southwestern perimeter; dozer lines are being constructed but are indirect (meaning there is unburned fuel between the line and the fire edge). Three helicopters are supporting firefighting efforts if conditions allow. Public and firefighter safety is a significant concern, and incident management personnel are looking at all options for suppression. Fire crews from across the state are in place to assist Ferry County Fire 14 and Ferry County District 3/Stevens 8 with structure protection under the State Mobilization Act. These resources are dedicated to structure protection and free up additional firefighters for wildland fireline construction. Two hand crews, dozers, and management personnel arrived from British Columbia, Canada today to work in partnership with existing resources fire suppression efforts on the northern perimeter. The fire has burned into the Togo Fire (2003) burn area and crews are working to construct line to keep the fire from progressing towards Grand Forks and Christina Lake British Columbia. A the higher elevations today it was thinner smoke than here in the valley. Light breeze at 5000 foot level but nothing in the valleys. I can not understand why 911 would be so flooded with calls. There is nothing to report that the fire departments and Wildfire Control are not seeing, they are seeing the same thing as everyone else in the valley. 911 is not there as an inquiry service it is there to report emergencies you actually see. Plugging the lines may very well put some real emergency on hold or in the queue waiting for an operator. This was coming down from Joe Rich on Hwy 33 just past Walkers Hill heading into Blk Mtn. Anyone else got a headache and / or sore throat? Quailize wrote: Anyone else got a headache and / or sore throat? We sold out of all dust masks in the pharmacy pretty quickly. A few people said that we weren't the first place they'd tried and many were already sold out. Adding up The Okanogan Complex, the North Star Fire, and the Kettle North Complex its burnt 159,412 hectares, unreal. 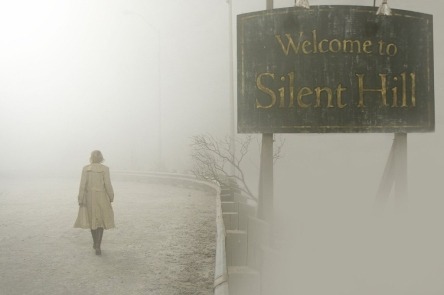 Remind me of Silent Hill franchise. Still rode a bike from Rutland to the bridge and back. Not too bad.